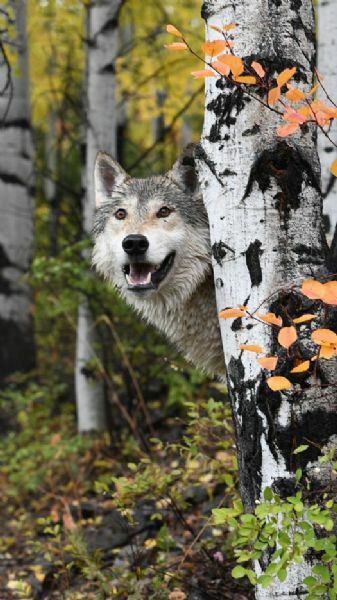 In 1973, the US Fish and Wildlife Service listed the northern Rocky Mountain wolf as an endangered species and designated Greater Yellowstone as one of three recovery areas. From 1995 to 1997, 41 wild wolves from Canada and northwest Montana were released in Yellowstone National Park. The best place to view wolves in Yellowstone is the Lamar and Hayden valley at first light. This location requires minimal route exploration. Select the green “View Map” tab to view this location on Google maps. Enter your starting point for detailed driving directions. Download a free copy of the Four Factors of Filter Highlight Photography in PDF format by selecting the “ebook download” tab above. This 37 page guide covers how to take a single image and apply minor manipulations that will help you produce consistent reproducible results. You will also learn the processes of camera set-up, image editing, and advance scouting techniques used by professional photographer Christian James. Free park maps, tide reports, ebooks and additional information can be found under the Maps and Resource tab located in the black bar at the top of the screen. Workshops and guided tours can be booked by clicking the workshop tab located in the black bar at the top of the screen. Photograph Info: Nikon D850 600 mm Lens @ f7.1 @ 1/320 second ISO 2000 Exposure Value -0.3 10/2/17 8:25 a.m.